With more than 50 million visitors annually, Hong Kong is the most visited city in the world – take that London, New York and Paris. And to those of us who call Hong Kong home, it’s not a surprise. Our best restaurants are among the world’s finest and we have a huge list of great attractions too, from amazing beaches to fabulous hiking trails. All those tourists means lots of hotels. 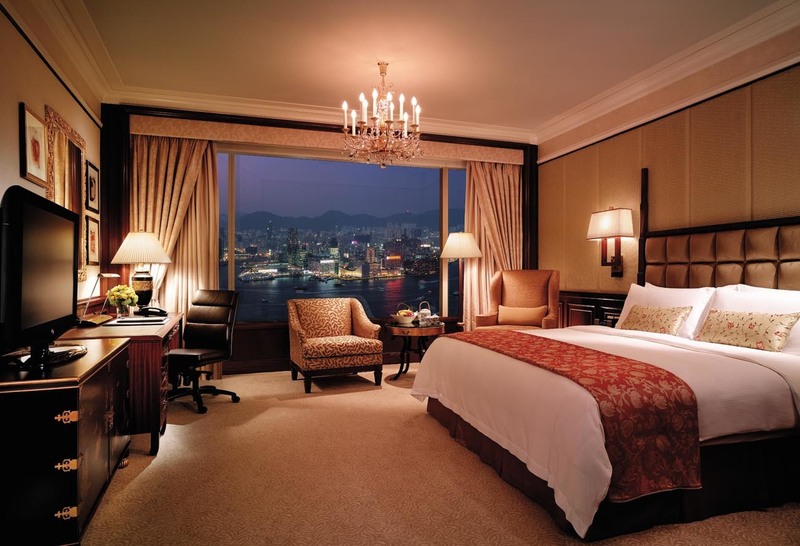 Hong Kong’s five-star hospitality is rightly famous and some of our local institutions – The Peninsula or Mandarin Oriental – are among the best places to rest your head in the world. 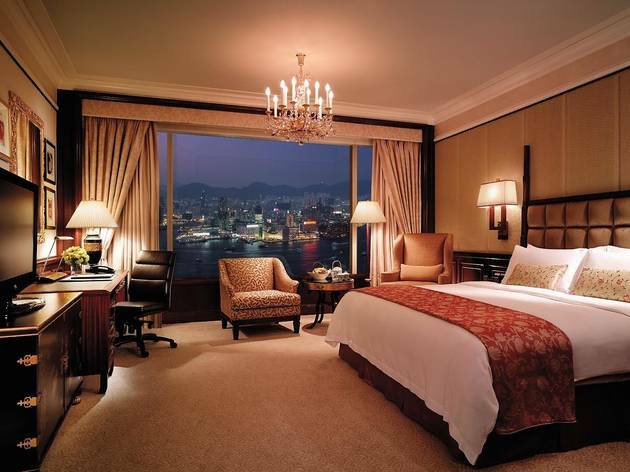 This list details the very best hotels in Hong Kong, where money is no issue. On a budget? 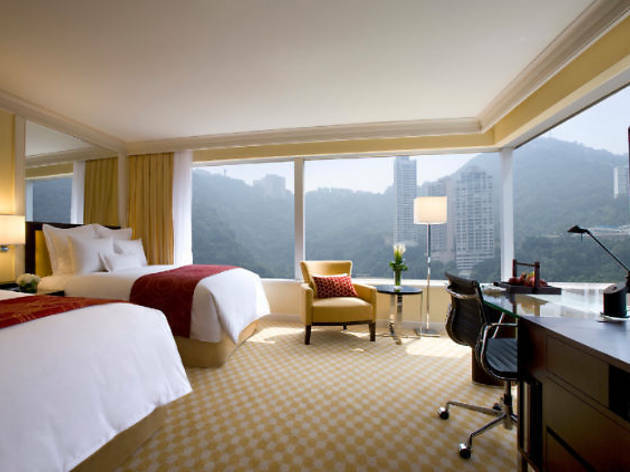 Check out our guide to the best cheap hotels in Hong Kong for a more economical stay in town. 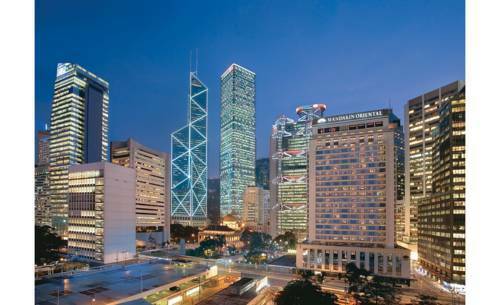 Conveniently located in Admiralty, the heart of Hong Kong Island, the Conrad Hong Kong sits atop luxury shopping mall Pacific Place, which, as well as designer boutiqes, also houses a great array of restaurants and cafés. 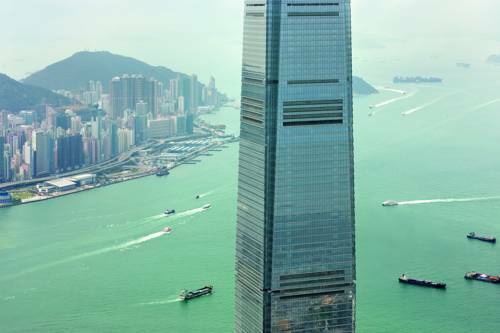 Only a short distance from Victoria Peak and many other local landmarks, it’s the perfect place to explore. In-house, guests can look forward to numerous high-tech amenities, six award-winning restaurants and top-notch hospitality. 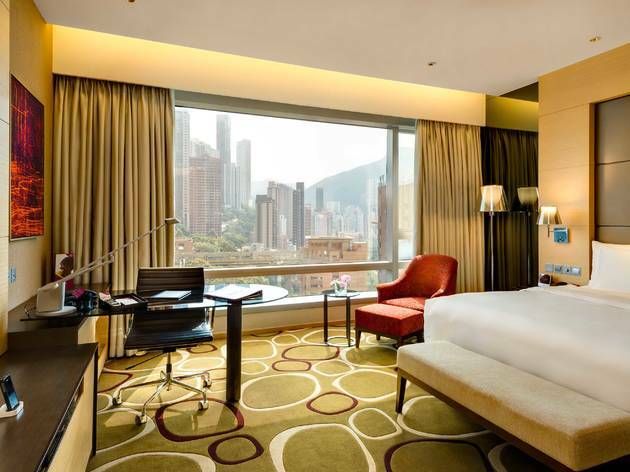 A great option for both casual and business travellers alike, the Crowne Plaza is found in the thick of Causeway Bay – Hong Kong’s most well-known commercial and shopping district filled with pretty much every brand you could ever imagine. With easy access to local attractions, plus quality in-house services, this spot is a spacious, comfortable oasis away from the hustle and bustle of the city. Elevating timeless luxury to a whole new level, the Four Seasons is a home away from home for those who appreciate the finer things in life. Dedicated to providing the perfect travel experience for all guests, Four Seasons offers an impeccable list of services and amenities ranging from Michelin-starred dining, a 24-hour fitness centre, a Spa, two outdoor pools and a 24-hour business centre. Oh, and it's also home to one of the best views in the city. 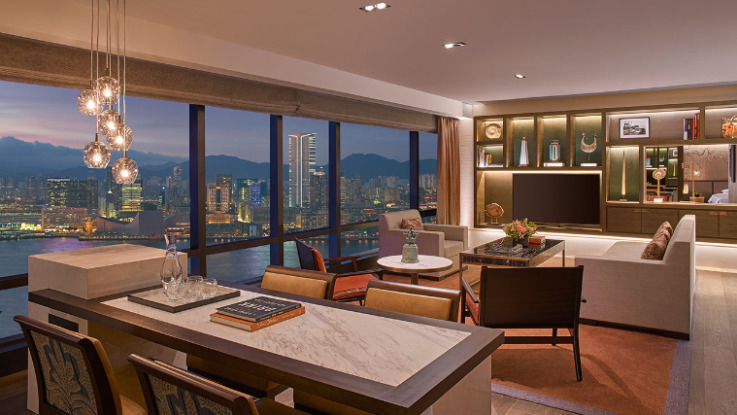 Located adjacent to the Hong Kong Convention & Exhibition Centre with stunning views of the world-famous Victoria Harbour, the Grand Hyatt provides 545 contemporary, chic deluxe guestrooms, some of which even come with a personalised butler service. Explore a quality range of facilities on the 11th floor – find your zen at the award-winning Plateau Spa, get your laps in at the 50-metre outdoor heated pool, or work up a sweat the 24-hour fitness studio. There's even a 400-metre jogging path. 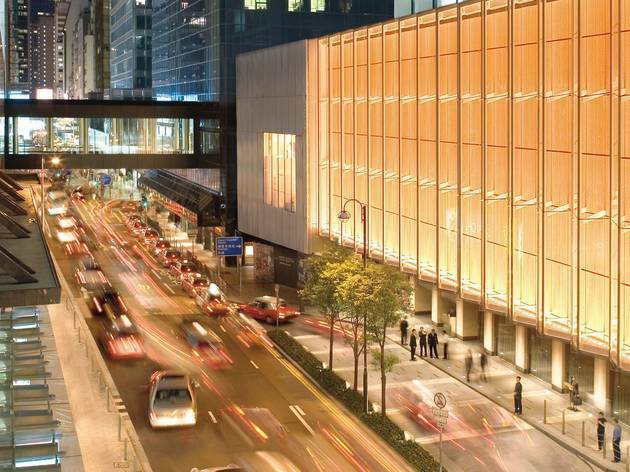 Part of the K11 Art Mall complex, the Hyatt Regency in Tsim Sha Tsui provides easy access to the MTR station as well as many local attractions in the area from Harbour City to the Hong Kong Heritage Discovery Centre and Science Museum. With five-star amenities and stunning views of Victoria Harbour, it’s the perfect place to make the most of Hong Kong. 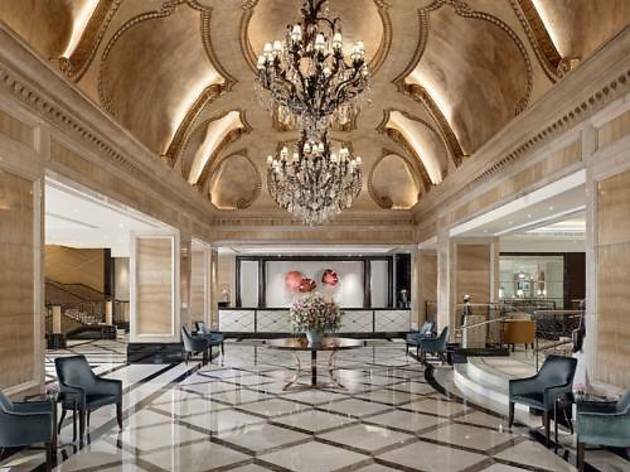 Home to three mouth-watering restaurants and sprawling panoramic views of Hong Kong Island and Kowloon Bay, the InterContinental Grand Stanford is the place to see and be seen. Take a stroll along the adjacent waterfront or treat yourself to a well-deserved pampering at the hotel’s stunning spa. Finish your day with a decadent meal at the hotel restaurant. 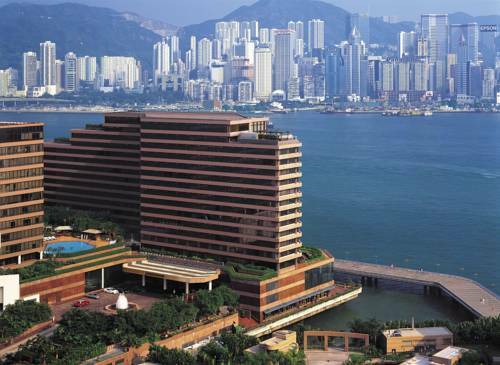 The five-star InterContinental Hong Kong Hotel enjoys a fabulous waterfront location. 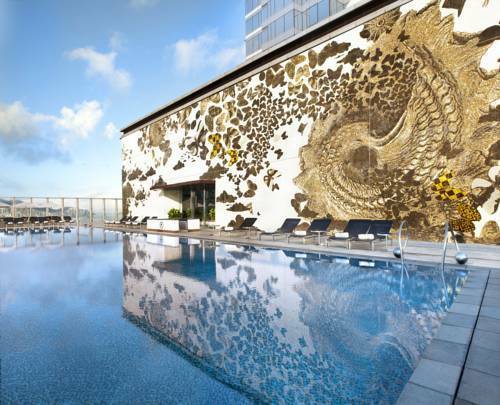 It features a spa, a large infinity pool which overlooks Victoria Harbour and two celebrity restaurants which offer 24-hour in-room dining. Michelin Star Yan Toh Heen Restaurant serves Cantonese specialities, while the four other restaurants offer French, Japanese and Asian favourites. Rooms are elegantly decorated and feature floor-to-ceiling windows. Rooms come equipped with a Handy smartphone, which provides unlimited local calls and international calls for eight counties for anyone feeling a little homesick, and unlimited 3G mobile internet access. 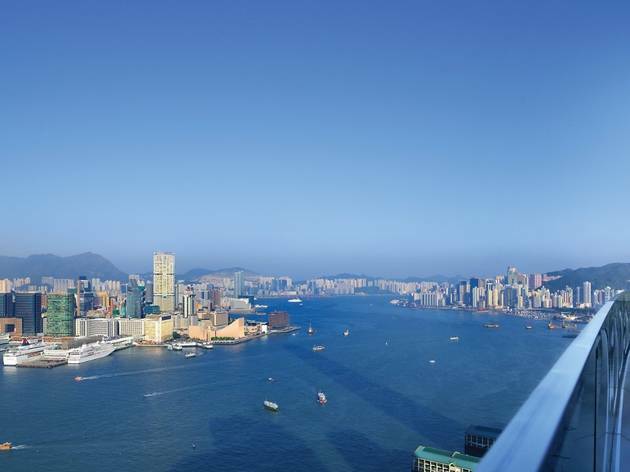 Guests can enjoy Hong Kong’s spectacular skyline from the hotel's three infinity spa pools. 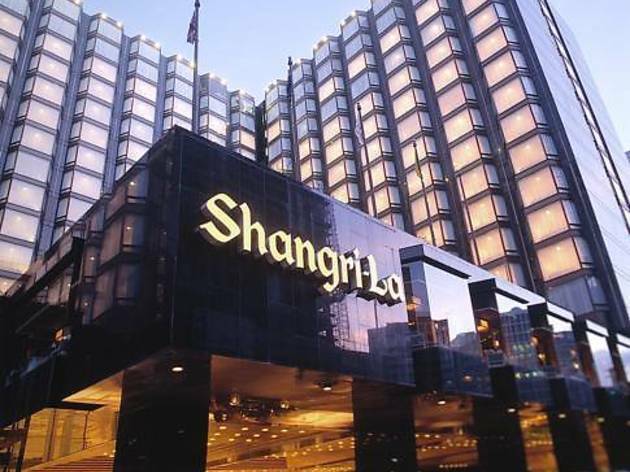 Soaring 56 floors above Pacific Place in Admiralty, the Island Shangri-La offers luxurious accommodation and a Michelin-star restaurant to boot. A pampering spa, outdoor pool and 24-hour gym are also available. 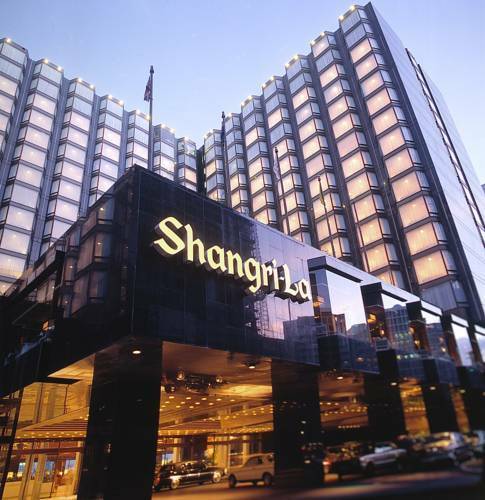 Island Shangri-La offers a free shuttle service to Central, Wan Chai and Admiralty MTR station. Enjoy 24-hour butler services, free WiFi, a flat-screen TV and minibar. The hotel's health club features Hatha yoga classes, indoor and outdoor spa pools, as well as relaxing massage treatments. 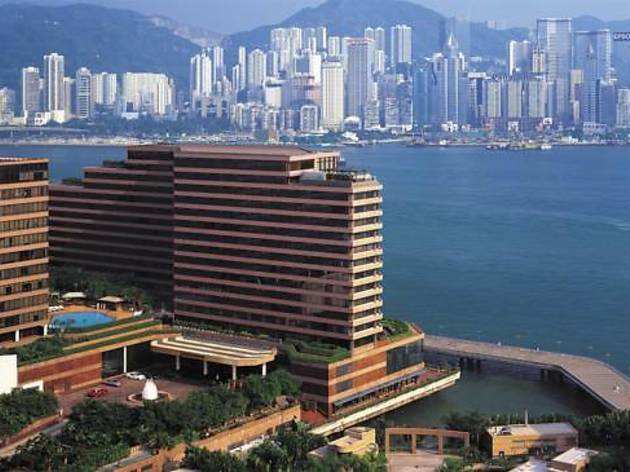 Award-winning eateries at Hong Kong Island Shangri-La include the Michelin two-star, Summer Palace Cantonese restaurant. 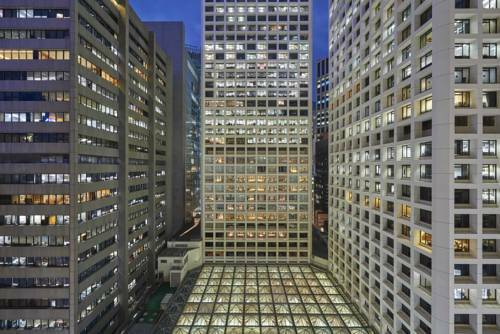 Another hotel sitting atop the prestigious Pacific Place complex, the JW Marriott Hotel Hong Kong has direct access to the Admiralty MTR station and Pacific Place shopping mall. In addition to an outdoor pool, it offers free wired and wireless internet in rooms and free WiFi in the lobby. 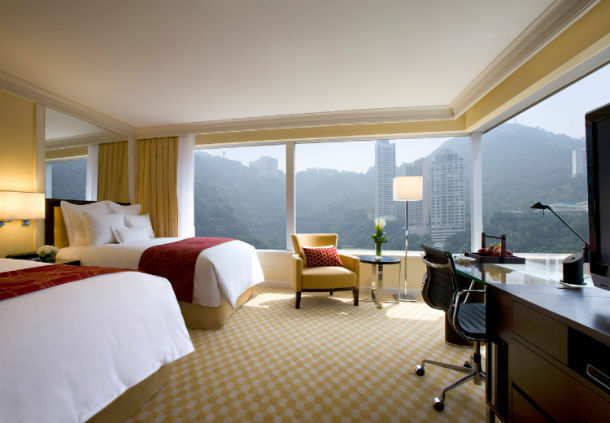 The rooms have large windows, presenting beautiful views of the cityscape, Victoria Harbour or the nearby mountains. Each room comes with a Bose audio system and a 42-inch flat-screen TV. The elegant marble bathroom has a bathtub and separate shower stall, complemented by bathrobes and toiletries. Guests can cool off at the outdoor swimming pool, which is heated throughout winter. The well-equipped health club also features a sauna, a steam room and massage services for extra relaxation. 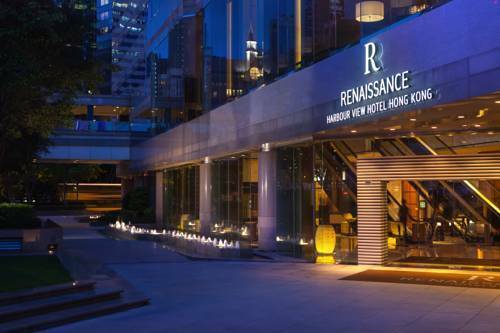 Located in lively Tsim Sha Tsui and only steps from East Tsim Sha Tsui MTR station, Kowloon Shangri-La overlooks Victoria Harbour. The luxurious hotel boasts seven dining options, indoor pool and rooms with free wired internet. 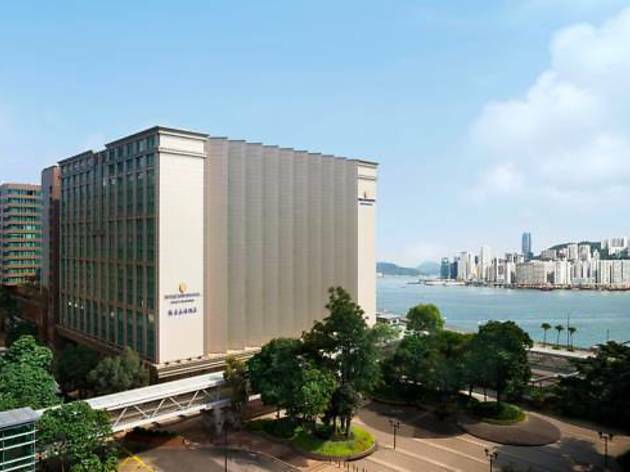 The hotel is a 15-minute walk from Star Ferry Pier, Ocean Terminal, the Museum of Art and Hong Kong Space Museum. Featuring elegant decor, spacious rooms here have floor-to-ceiling windows with views of the city or harbour. Each room is equipped with satellite TV, a large work desk and a tea/coffee maker. 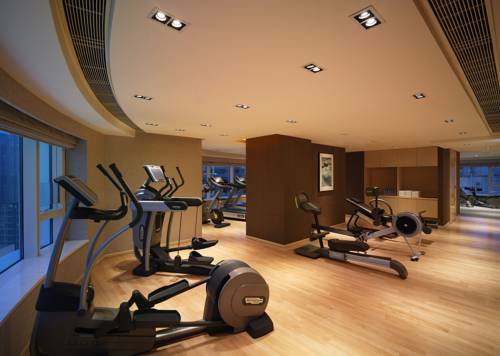 Shangri-La’s health club offers a 24-hour fitness centre, a swimming pool and massage services. Other facilities include a well-equipped business centre for any guests needing to get down to work. Situated in the heart of Kowloon, the Langham Hong Kong is home to the exceptional three Michelin-star Cantonese restaurant T'ang Court and a rooftop pool. 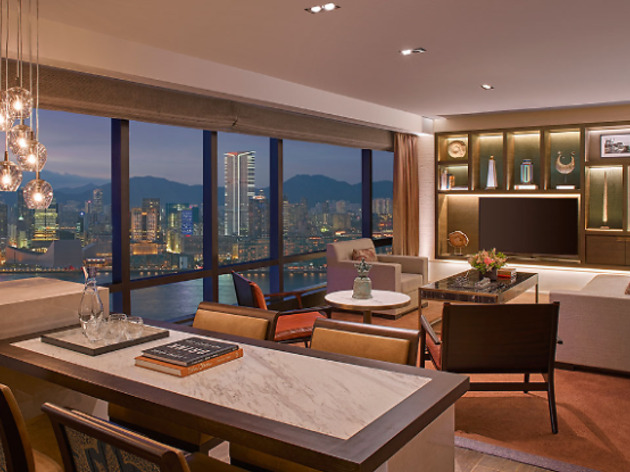 Each stylish room at The Langham Hong Kong come equipped with a 37-inch flat-screen TV and a gourmet minibar. Other facilities include a 24-hour gym for anyone looking to work up a sweat. The renovated Bostonian Seafood And Grill features a craft brew bar, a principal dining area and a private champagne room. Local specialties are served at award-winning T'ang Court restaurant. For something lighter, tea and light snacks are available at Palm Court. Famous attractions like Temple Street and Avenue of Stars are just 1km away. 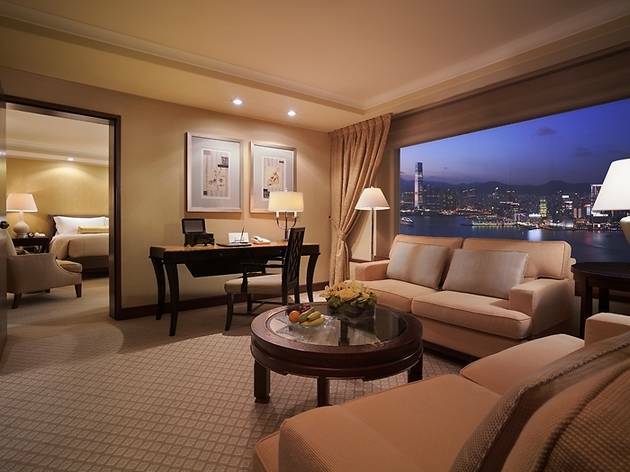 Superbly located in the heart of Central, The Landmark Mandarin Oriental-Hong Kong sets the standard in Hong Kong for deluxe contemporary accommodation and state-of-the-art in-room facilities. 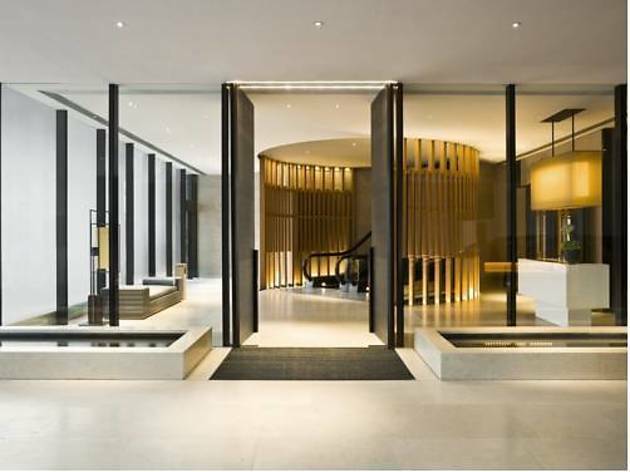 This exclusive-ultra-chic luxury hotel offers beautifully-appointed rooms and suites, providing the largest average room size of any hotel in Hong Kong. The Oriental Spa is the premier urban spa in Asia. The spa is located on two floors of the hotel and features a fitness centre, an indoor heated swimming pool in addition to pilates and yoga studios. 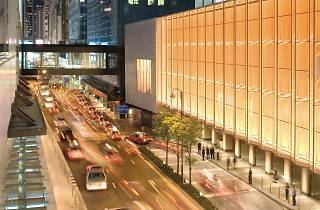 Guests can enjoy different cuisines at The Landmark Mandarin Oriental. Top French cuisine can be tasted at the renowned Amber while cocktails and organic dining at MO Bar is a good choice for a lighter meal. A local institution, the Mandarin Oriental offers elegant rooms with a 37-inch flat-screen TV, 10 dining options including Michelin Star restaurant Pierre, a spa and fitness centre. A 40-minute drive from the airport, the MO is spacious and elegant. Modern comforts like an iPod dock, flat-screen TV and minibar are included. Guests can make use of the steam room, jacuzzi and sauna at the spa, which offers traditional Chinese and Ayurvedic treatments. Mandarin Grill & Bar serves brilliant fresh seafood and western dishes. Cantonese specialties can be sampled at Man Wah. All-day dining is available at Cafe Causette. 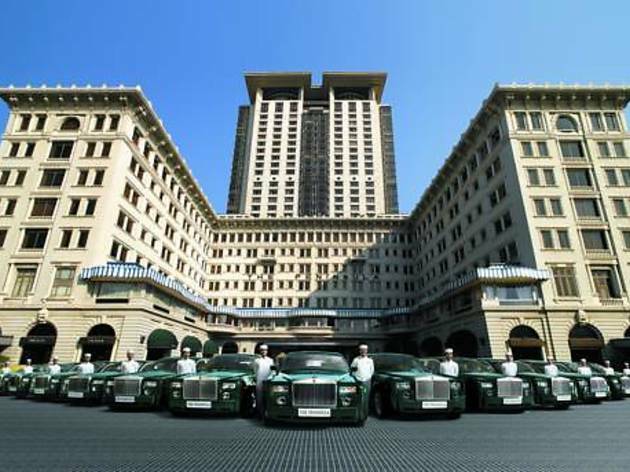 Opened in 1928, The Peninsula Hong Kong offers five-star service and old world charm on the edge of Victoria Harbour in Tsim Sha Tsui. A Roman-style indoor pool, a 12,000sq ft spa and eight award-winning restaurants and bars feature within this luxurious hotel. 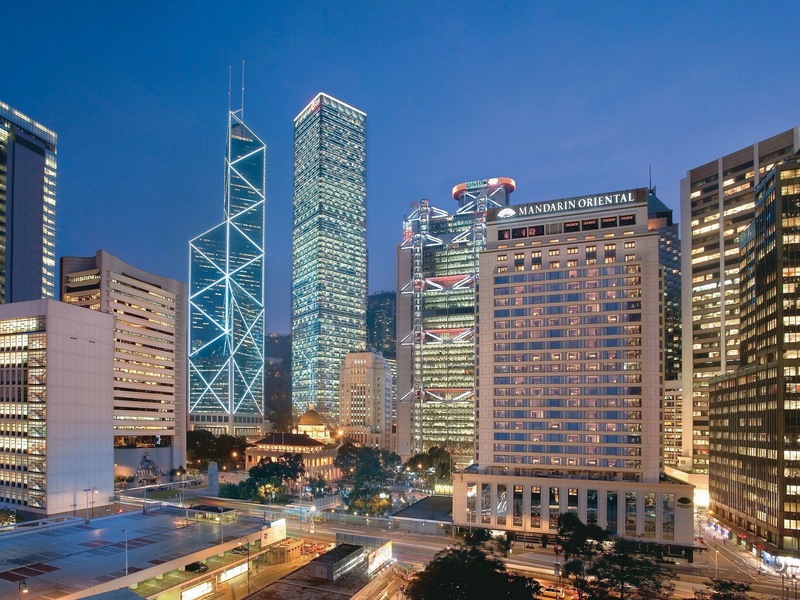 The Peninsula Hong Kong is five-minutes’ on foot from Tsim Sha Tsui ferry terminal. 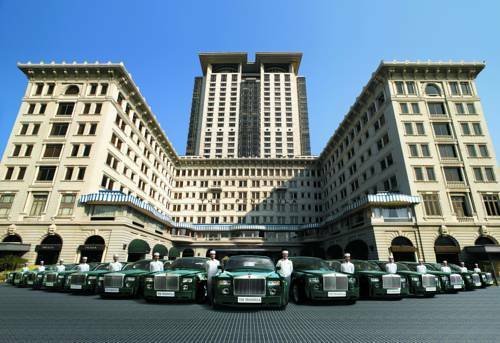 From the airport, travel in style with the hotel's fleet of Rolls-Royce limousines, Mini Cooper S Clubmans or a private helicopter. At the Peninsula Spa, relax with a full body massage or soak in the hot tubs. Felix rooftop restaurant features modern European cuisine, elsewhere, and a must-do in Hong Kong, English afternoon tea is offered at The Lobby. 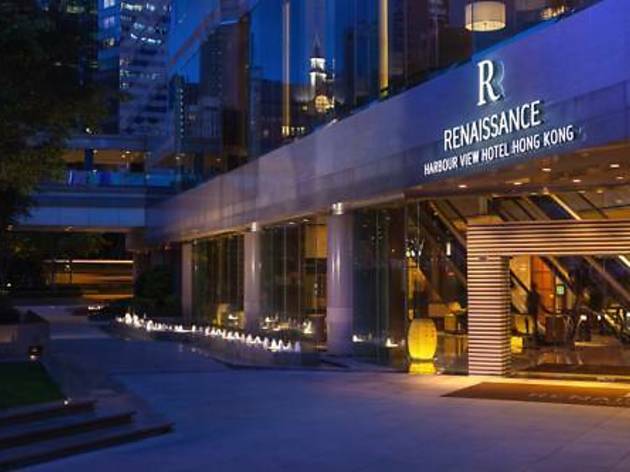 Featuring an award-winning restaurant overlooking Victoria Harbour, the Renaissance Harbour View Hong Kong is set on the Wan Chai waterfront and direct connected to the Hong Kong Convention and Exhibition Centre. Guests have the convenience of cable TV, a safe and ironing facilities. A fitness centre provides guests the chance to maintain their work outs, while a golf practice facility and putting green is available for keen golfers. The award-winning Dynasty Restaurant serves classic Cantonese fare. All-day casual dining is available at Café Renaissance and Mirage Bar & Restaurant provides live entertainment in the evenings. Sleep in the clouds at one of the Ritz-Carlton's luxurious sky-high rooms, which are located on floors 102 to 118 of the ICC in West Kowloon. 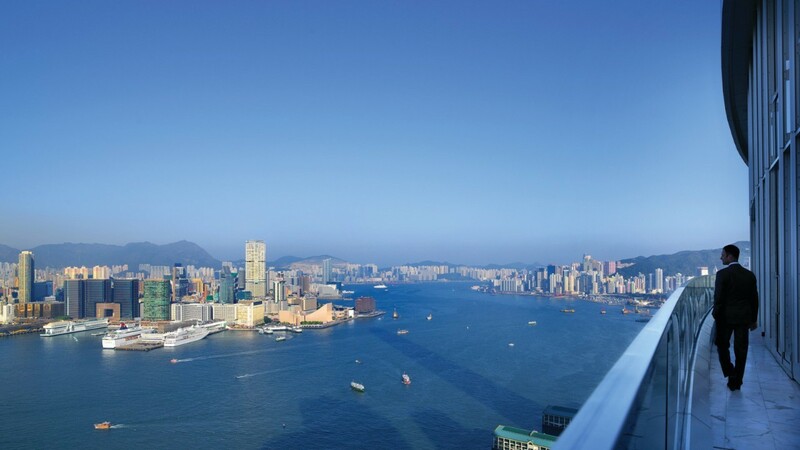 Towering over Victoria Harbour, the hotel boasts the highest bar in the world and two Michelin starred restaurants, among others. 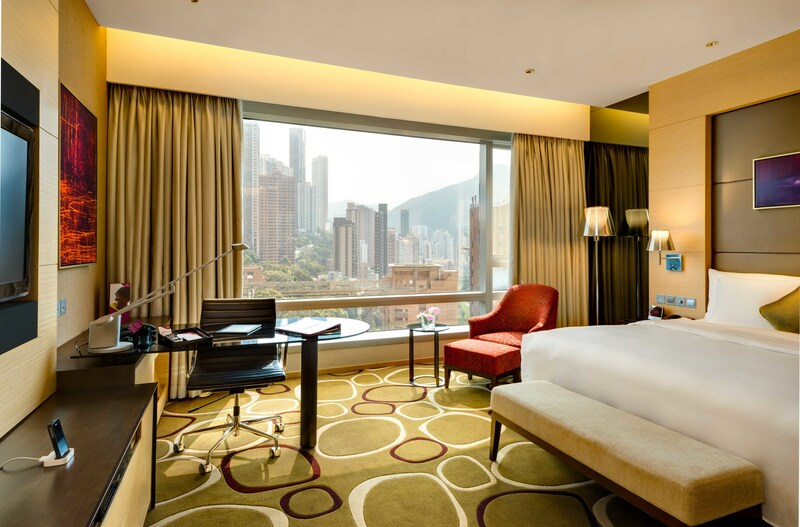 Offering panoramic views of Victoria Harbour from its large windows, each room offers comfortable beds covered with 400-thread count linens and feather pillows. Even without going out, guests will be spoilt for recreational choice with a pampering massage, a heated indoor pool and well-equipped gym. Added convenience is provided with laundry and concierge services. 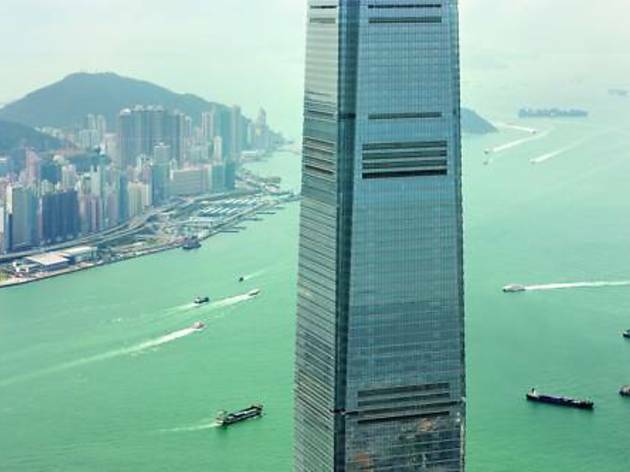 Boasting panoramic views of Victoria Harbour and the city, The Upper House is centrally located in Hong Kong Island right on top of Pacific Place shopping mall. 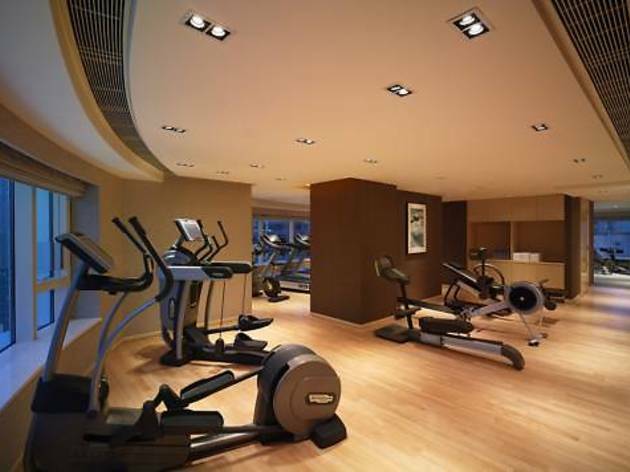 Directly linked to Admiralty MTR station, it provides a modern fitness centre and free yoga classes during the weekend. 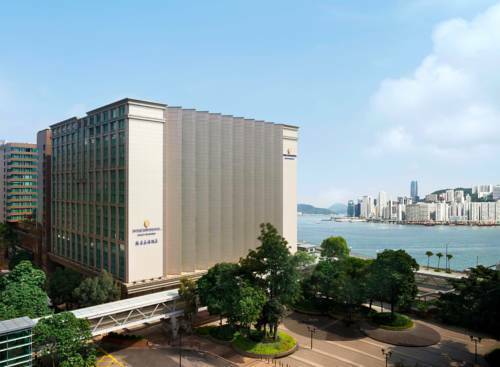 The hotel is located a 40-minute drive from Hong Kong International Airport and a 10-minute walk from Star Street's galleries, chic furniture outlets, trendy booksellers, cosy cafés and stylish restaurants. Located on the 49th floor, Cafe Gray Deluxe offers modern European dishes. Guests can enjoy a refreshing beverage at Cafe Gray Bar or enjoy their meals in the comfort of their rooms. 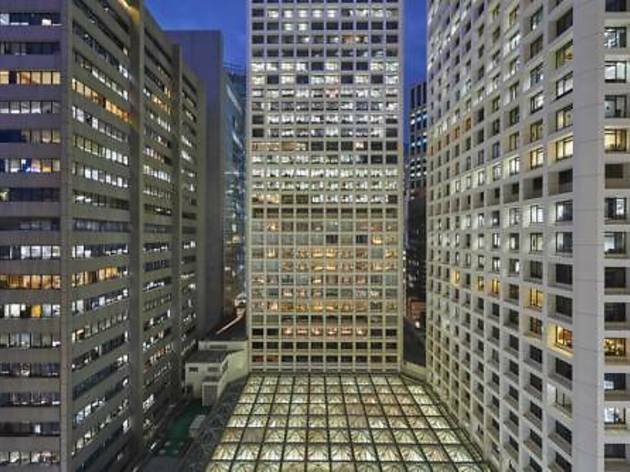 The chic W Hong Kong towers over busy Kowloon with its 76th floor outdoor pool, pampering spa treatments and its 73rd floor 24-hour gym. 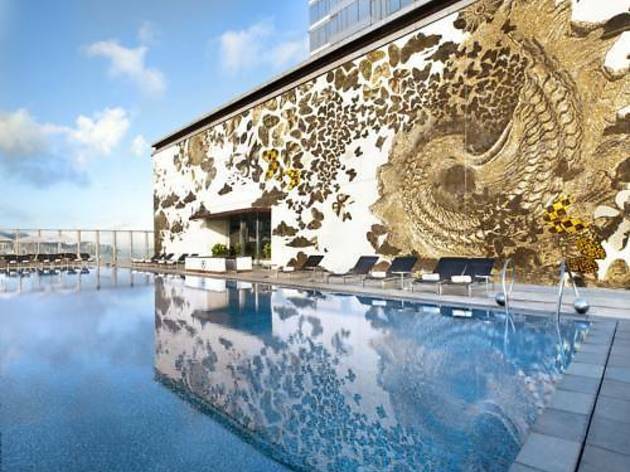 The hotel showcases exceptional décor and architecture from the world's top designers. Each feather bed is fitted with 400-thread-count bedsheets. En suite bathrooms have a 15-inch flat-screen TV, a soaking tub and soft bathrobes. 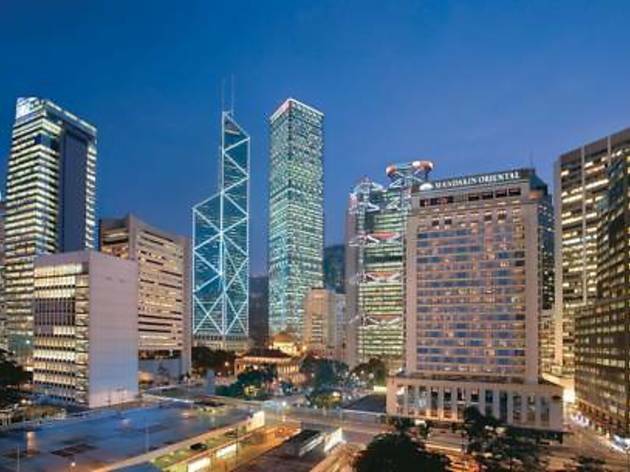 W Hong Kong is located just above Kowloon MTR station and is directly connected to the luxurious Elements shopping mall. Delicious international buffet spreads are offered at Kitchen, while the elegant Sing Yin serves Cantonese seafood delights and dim sum buffets. Regular parties with live DJ performances can be enjoyed at Woobar. Looking for more hotel rooms? Whether you’re after a luxury hotel room, a boutique spot to stay, somewhere cheaper or a place off the beaten track, we’ve got you covered.